You’re here to play, but you still need to refuel. Eating on the fly doesn’t mean sacrificing quality or flavor. 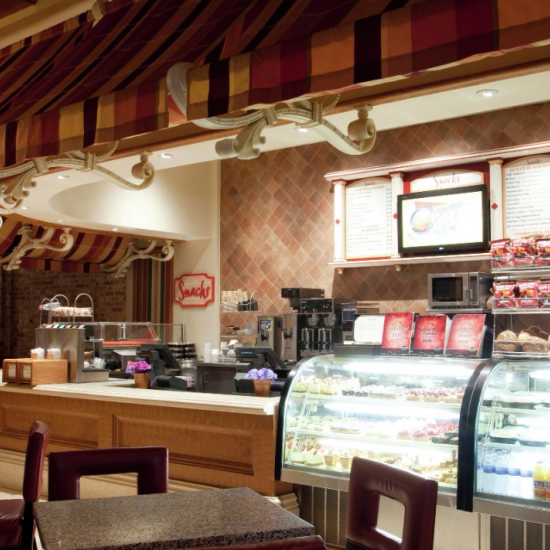 Snacks, conveniently located on the casino floor and just a few steps from your favorite games, serves the right mix of quick bites to keep you in play. Light but filling salads, heaping deli sandwiches, hotdogs, a freshly baked cookie or some chips… grab a table or take it with you. We’re all about options! Walk past The Buffet on the left and Nu’vo on the right and onto the casino floor. Follow the wide middle aisle through table games to High Limits and take a right at High Limits. Follow the pathway to Snacks. Exit from the parking garage elevators and take a right through the glass doors onto The Shopping Promenade. Continue on The Promenade to the Hotel Lobby. Take a right from the lobby past The Jewelry Box and onto the casino floor. Follow the middle aisle to High Limits and take a right at High Limits to Snacks.